After a three year hiatus a unique two week photography masterclass with Canon Ambassador Gary Knight & Philip Blenkinsop. My friend Soe, boatman and philosopher, Inle Lake, Myanmar. Gary with workshop students in the Angkor temple complex, Siem Reap, Cambodia. Residents of a floating village, Siem Reap, Cambodia. Photograph by Maciek Nabrdalik of VII Photo Agency who was a workshop student of Gary and Philip in 2009. Residents of a floating village in Siem Reap, Cambodia. Photograph by Maciek Nabrdalik of VII Photo Agency who was a workshop student of Gary and Philip in 2009. Siem Reap Cambodia. Photograph by Maciek Nabrdalik of VII Photo Agency who was a workshop student of Gary and Philip in 2009. Workshop student Sarah Elliott photographs in Cambodia. Workshop projection, Angkor Photo Festival. Philip with workshop students, northern Myanmar. Utilizing two weeks of programming rather than the more typical one week, the masterclass is designed to maximize the amount of time you will have for photography without compromising the time for instruction, technique and thoughtful critique. Prior to the masterclass you will have the opportunity to work by e-mail with Gary and Philip to develop an idea that you can photograph during the workshop. Your idea can be developed further when the masterclass starts. Day 1 through Day 3. Morning of the 27th of November to the night of the 29th November. Assignment in Bangkok. You will spend the first three days with Gary and Philip working on daily assignments designed to push the development of technique and style in the busy mega-city environment of Bangkok. There will be daily projections of photography designed to help you understand and immerse yourselves in the craft and canon of visual storytelling. Day 4 through Day 11. 30th November through to the afternoon of the 7th of December. Solo field project. Departure day. Final prep and planning for your field project after which you will embark on your own solo projects in the South East Asia region. This could be in Bangkok, or in one of the countries neighboring Thailand. During this time you will work independently on your own personal project. Gary and Philip can draw on their vast network of contacts in the region to recommend drivers, boatmen, translators and hotels to help you compete you assignments. Day 5 and Day 8. Editorial conference. Wherever you are - and assuming you have communication - you will be able to reach us for an editorial meeting on these days. You will be able to walk us through your progress and we can help you think about developing your ideas while you are on the road. We will be available by phone and e-mail for emergencies during your entire trip. Day 11 through Day 14. Afternoon of the 7th of December to the night of the 10th of December. Final edit. 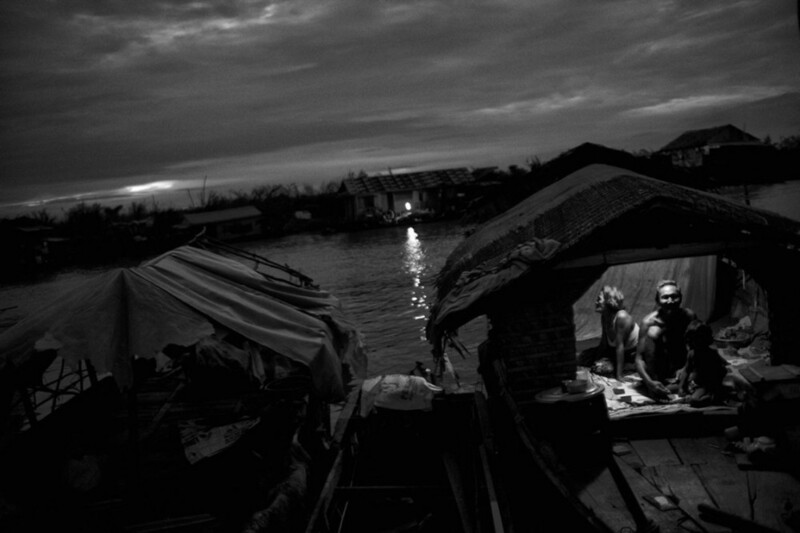 The masterclass will rendezvous in Siem Reap, Cambodia at the Angkor Photo Festival. Here you will work with Gary and Philip to edit and sequence your work over a period of three days culminating in a slideshow on the 14th day. During this period you will have access to the Angkor Photo Festival and its program of exhibitions and slideshows. Day 15. 11th December. Depart. The masterclass fee is $3000. Workshop fees can be paid here. During the Bangkok assignments Gary and Philip will be based in Chinatown, you can stay where you want to but we recommend somewhere in - or close to - Chinatown. Siem Reap is a small town and easy to travel around. Students are responsible for their own accommodation, food, travel and all other costs associated with the masterclass. Please contact gmk@garyknight.org for further information. "The photographer Gary Knight was another really important mentor for me. Since I was a kid, I’ve always loved the big, black-and-white documentary photography from LIFE, National Geographic, and TIME; and one of my favorite books to look through when I was a kid was a huge coffee table book of Matthew Brady’s Civil War images. While living in Nashville, I went on the road with a couple of bands and shot black-and-white doc style images. I thought documentary photography might be interesting to explore, so I applied for a workshop with VII, a conflict photography agency in New York. I was accepted and did a two-week workshop in Siem Reap, Cambodia with Gary Knight. There were 10 of us in the workshop and everyone else worked at newspapers or were stringers for magazines or something similar. But there I was, an audio engineer from Nashville who didn’t quite fit in—and I felt like Gary sensed that. He pulled me aside at the end of the first week and said that when he looked through everyone’s photos, he immediately knew which ones were mine because I had a very distinct way of seeing. He told me: “You have to protect that. Don’t let anybody tell you that you’re doing something wrong. Don’t go back to school, because they’ll beat it out of you. Don’t go work for anyone who doesn’t value that. Just keep at it.” It was an amazing moment: an incredible photographer told me that there was something inside of me that I should protect and grow. No one had ever said anything like that to me before." "Joining Gary and Philip on their photography masterclass was both brilliant fun and genuinely progressed my photography skills beyond what I thought possible in the time frame. They both have such a passion and insight into photography that no matter what level the students skills were at, you could see progression across the board in the quality of the images being produced each day. Everyone was visibly proud of what they had produced by the end of the workshop. One of the best things about the workshop is that you can focus 100% on improving your skills, interacting with the subject and area and in what was a really enjoyable and supportive environment. Phil and Gary know how to travel, that that showed in the quality of the logistics and accommodation. I was actually quite nervous when I started the workshop because the whole thing was outside of my comfort zone. I was not a professional photographer and had never been to the country before, but in absolutely no time at all I was having a ball". "While waiting tables, I met a man who worked in graphics at TIME magazine. He told me if I ever make it to NYC to look him up. I made it to New York when summer ended and gave him a call. He introduced me to the photo editor and she politely looked through my awful images of autumn foliage and generic college shots. On the walls hung iconic images by James Nachtwey; I felt way out of my league—and I was—but she gave me a nugget of advice that changed everything for me. I told her I was heading to Southeast Asia and she said to look into the VII Workshops conducted in Cambodia. So I took VII Founder Gary Knight’s class in Siem Reap and he changed the way I thought about photography. There were ten people in my class; I was easily the worst photographer. But after the class I spent three months in Cambodia and Vietnam traveling and working on stories, settling in Hanoi. There, I started working on a project on 3rd generation victims of Agent Orange. I fell in love with Vietnam and my projects and basically haven’t left since then. Gary helped me get my first story published in Newsweek and later that year I was actually invited into TIME’s office by the photo editor. She showed me around and also really helped me with my career and gave me confidence in myself as a photographer. I’ve now been in Vietnam for over six years." "Philip, you are an inspiration, and you know how precious (and rare) it is to be around inspired, talented and genuine people. Thank you for taking the time to understand where I am today with photography and lead me to take the next step with thoughtful and achievable guidance. I liked the carefully chosen books, documentaries and rich discussions which helped me to see how others see the world and form my own perspective. I think I relearned looking at what's going on around me! and (sic) technically better at operating my camera as an instrument to capture some unique interactions and moments. It has been a fascinating experience upon which I will build, I believe, for the rest of my life. Thanks for being so accommodating in your wonderful cottage, seeing to my comfort and preferences! It's hard to leave. I know we'll meet again"
"If you’re reading this you’re probably considering taking the workshop with Gary Knight. I took Gary's workshop in Cambodia in 2009. You'd think it was too long ago to remember this experience well but I really do. It is probably because that week was one of the milestones on my photographic path. We met when I was carrying a heavy luggage of news photography experience and felt quite confident about my craft so it was a bit intimidating when Gary went out for a shooting day with me. I was shadowed, instructed and questioned by him for a big part of the day. This experience completely changed my approach. During these few hours I became “invisible”, unobtrusive and efficient photographer. The long discussions over our photographs were mind opening. I stayed in touch with other participants of our workshop in Cambodia – a very diverse international group of people, all with very different experiences – and they all think it was a tailor-made workshop. Over these years I attended, assisted and organized workshops lead by many admired photographers and I could honestly recommend some of those if I know your interests, the level of your photography and your personality. But I can blindly recommend this one. Gary will challenge the way photograph, the way you think of photography and probably the way you live. But that’s what Mentors do. Last but not least, Gary has a great passion and deep understanding of Asia and you will truly benefit from it." I remember when, in 2009, I was trying to find my own identity in photography. I wanted to understand, I wanted to know how to read an image and also how to create it. I had no clear idea of what does it means to be a photographer, and even less I ever worked as it. Therefore, imagine if I could knew what a war was or if I had ever thought of being able to document it. In November 2009, I decided to attend a workshop with Philip Blenkinsop. I knew he was good and talent photographer but honestly I had not seen a lot of his work. During that week Philip taught us how to use the 35mm, how to understand and create an image and especially, how to pass our limit. His words and images have opened my eyes. It's not easy or immediate, but if you succeed, you learn to feel photography. And since then I never gave up." "When I decided to devote myself to photography in 2010, all I had was a camera and reckless passion. Without any plan or clear agenda, I just went out to the street and started taking pictures with groundless belief that street will be the best teacher. I didn’t know what I didn’t know then. After making numerous trials and errors, eventually, I got to need a mentor who can guide me to right direction. It led me to apply for several workshops, and Gary and Philip’s Rajasthan workshop was among them. To cut the story short, Gary and Philip’s was the best workshop I have ever experienced. It wasn’t just another ordinary workshop which cringe to participants for good feedbacks or reputation. Gary and Philip treated me not as a novice but as a photographer equally. During 10 days of workshop, they drove me to the edge, pushed me to fail and encouraged me to fail. Through their harsh but fair critics, practical advices and words of wisdom, I got to know what I didn’t know and what I should know. Most importantly, I learned the importance of asking a right question to my subject matter and also to myself as a photojournalist. After surviving from the workshop, my life as a photojournalist truly emerged. I was admitted to The School of International Center of Photography, interned at VII Photo after graduation, then signed freelance contract with major media like New York Times, Washington Post, Wall Street Journal and Bloomberg Businessweek. I owe all of my achievement so far to Gary and Philip. There is no doubt about it. I’m still keeping good relationship with Gary and Philip. Especially, Gary has supported and encouraged me tremendously so far. I must say I’m very blessed and lucky to have the greatest mentor. He is my Obi-Wan Kenobi. Everyone has a moment in their lives, a life time changing moment. In my case, encounter with Gary and Philip was that moment. I highly encourage you to join their workshop and to get inspired."